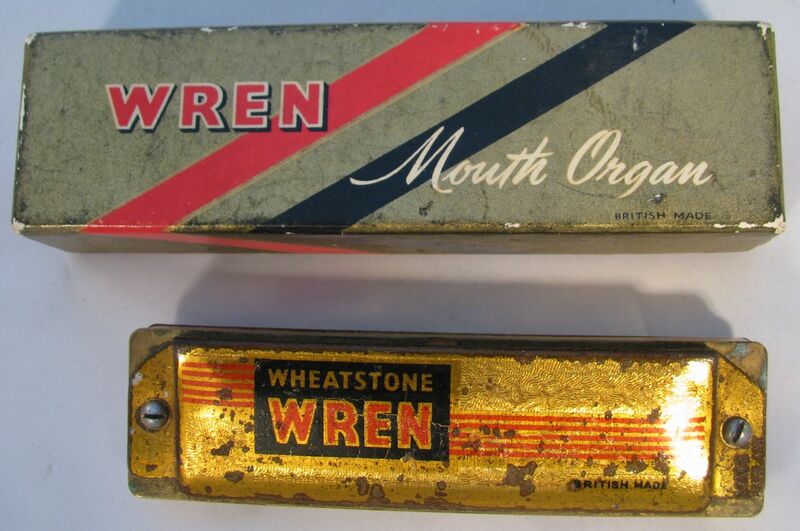 Full Description: Two “Wheatstone Wren” Mouth Organs, one of the first instruments permitted to be made by Wheatstone’s as the restrictions on non-war-related manufactures began to be relaxed after the war. Only one retains its case, and the instruments are labelled “British Made” with “C Wheatstone & Co Ltd. London England Key C” on the end of the case. They are printed on the metal in gold and red painted designs. The date “18 Oct 1948” is stamped inside the lid of the case.